Today I met some great new friends at the Home of the Future at Disneyland. 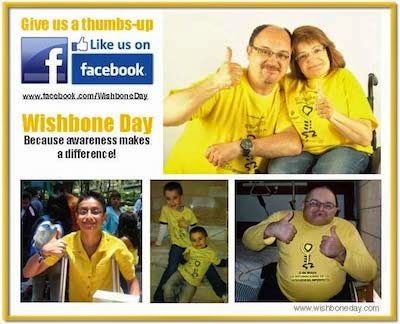 I was impressed that they wore their yellow on Wishbone Day! Look how excited they are to be getting a photo with me :-) FEEL THE LOVE!! This friend didn't quite get the concept of yellow but still he showed great 'unbreakable spirit' in the Indianna Jones Tunnel. What an adventure! Wishy having fun in LA! Checked in and ready to fly! A BIG ADVENTURE FOR WISHY! Just 3 days to go!